Presently, Susan writes a weekly blog, www.vegetablegardener.com for Taunton Press chockablock full of gardening info, travel and great recipes. Susan has appeared on Good Morning America, CBS Morning News, The Willard Scott Home & Garden Show, National Public Radio, PBS’ Cultivating Life, Ultimate Kitchens, DeLiteful Cooking. Ms. Belsinger is a culinary herbalist, educator, food writer, and photographer whose articles and photographs have been published in The Herb Companion, Herbs for Health, Natural Home & Garden, Fine Gardening, GRIT, Kitchen Gardener, Organic Gardening, The Herb Quarterly, Gourmet, Food & Wine, Woman’s Day, The Washington Post, and other publications. She has been featured in the Baltimore Magazine, Better Nutrition, Organic Gardening Magazine, Mid-Atlantic Magazine, Victoria Magazine, and The Washington Times. She has co-authored several best-selling, award-winning cookbooks. Her book the creative herbal home co-authored with Tina Marie Wilcox is the second in the living with herbs series published by herbspirit. It was translated and published in Japanese in 2012. not just desserts-sweet herbal recipes is the first in the series. Susan compiled and edited, as well as contributed both text and photographs to six Herb of the Year ™ books for the International Herb Association. Recently, The Herbal Calendar 2014 and The Herbal Calendar 2015 were published by Tide-Mark Publications and the next calendar for 2016, Chiles, Herb of the Year 2016 will be published by herbspirit and available late summer/early fall 2015 from here on Susan’s Bookstore. Her new book, with co-author Dr. Arthur O. Tucker, The Culinary Herbal: Growing & Preserving 97 Flavorful Herbs will be released in January 2016 by Timber Press. Besides gardening organically and teaching, Susan travels throughout the U.S., Canada and Europe giving lectures and demonstrations on subjects including herbs, edible flowers, chiles, garlic, Mediterranean diet, Southwestern, Italian, vegetarian cooking, cooking with kids, gardening, herbs for a healthy lifestyle in the home and for aromatherapy. She taught at L’Academie de Cuisine, an accredited cooking school in Bethesda, Maryland, for more than 25 years. Susan has appeared on Good Morning America, CBS Morning News, The Willard Scott Home & Garden Show, National Public Radio, PBS’ Cultivating Life, Ultimate Kitchens, DeLiteful Cooking, and many national and local cable stations. She has given presentations at nationally known places such as the Atlanta Botanic Gardens, American College of Healthcare Sciences, Brooklyn Botanic Gardens, Colonial Williamsburg, Denver Botanic Gardens, Epcot Center in Disneyworld, Gilroy Garlic Festival, Hudson Valley Garlic Festival, Indianapolis Museum of Art, Lewis Ginter Botanical Gardens, Library of Congress, Memphis Botanic Gardens, Michigan State University, Minnesota Landscape Arboretum, National Cathedral, New Orleans Botanic Gardens, Ozark Folk Center, Philadelphia Flower Show, San Diego Botanic Gardens, Smithsonian Institution, Smithsonian Folklife Festival, Tai Sophia Institute for the Healing Arts, United States Botanic Gardens, U.S. National Arboretum, and Wave Hill Garden, not to mention numerous garden shows and herb festivals. For more than four years, Susan has been blogging for Taunton Press’ Web site www.vegetablegardener.com (since she is a weekly contributing blogger, there are more than 200 of her articles posted). Susan was a contributing editor writing regularly for the Herb Companion for over 20 years. She has been the editor for the Herb of the Year books for IHA for 2007 through 2012 and was the editor for the IHA newsletter from 2005 to 2008. She had a regular feature column ‘Fresh and Flavorful’ in Washington Home & Garden Magazine from 2007 to 2008. In 2005, she completed an herbal apprentice course with Rosemary Gladstar. In 2003 and 2004, she had a regular feature titled “Season’s Eatings” in Natural Home magazine. Susan was a contributing editor for Vegetarian Times and wrote a monthly column titled “GoingVeg” for the year 2002. She has been moderator and coordinator, and presenter, for a number of day-long seminars on herbs & gardening for the Smithsonian Associates. 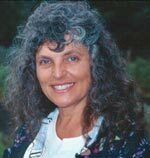 Susan resides in Maryland with her husband, Tomaso in the passive solar house they built over 30 years ago. Daughters, Lucie and Cady are young adults, pursuing their own careers, though they still can often be found at home. She has lived in Italy and California & has traveled throughout Europe, the U.S., & Mexico. She is a member of the Herb Society of America, International Herb Association, American Botanical Council, United Plant Savers and Kitchen Gardeners International; she was a member of Les Dames d’Escoffier for 18 years. Susan was honored by the International Herb Association with the Otto Richter Memorial Lecture Award in 2009; she was the 2008 recipient of the Writers’ Colony at Dairy Hollow Moondancer Fellowship for Nature and Outdoor Writing; in 2006, Susan received the Herb Society of America’s Joanna McQuail Reed Award for the Artistic Use of Herbs; in 2004 she received the Professional Award from IHA for her outstanding contributions to the herb industry. Her Habanero Shrub was chosen as a Best Syrup & Elixir 2013 and her Exotic Ginger and Vanilla Bean Elixir was voted Best Syrup & Elixir 2009 at the International Herb Symposium. Growing vegetables, herbs, and flowers organically, harvesting them at their peak, and bringing them into the kitchen to create healthy recipes is a way of life for Susan. She is passionate about herbs & her work-sharing the joy of gardening & cooking through teaching & writing-& inspiring others to get in touch with their senses of smell & taste.